(MENAFN - PRLog) Sicily is a sweet spot that deserves to be on every foodie and wine lover's bucket list. 1 2 DJI_0066 - Copia _GB55800 CASTELVETRANO, Italy - March 21, 2019 - PRLog -- The most exotic place in Europe, Sicily is the second-largest wine region in Italy. The sun-kissed island's quieter south-west is less well known than the east but similarly endowed with fine wines, good food, charming towns and glorious views of golden-sand beaches. 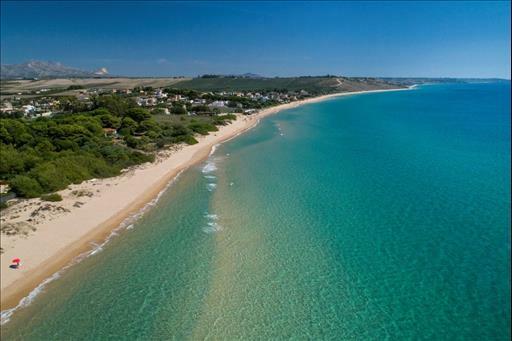 Located about 50 miles southwest of Palermo, Menfi, in the province of Agrigento, is one the most historic wine towns in southern Italy, carpeted with rolling vine-covered hills overlooking the still relatively undiscovered sand dunes and stunning beaches of the nearby coast. It is steadily becoming a go-to destination for those who love vineyard-hopping and the beach, as pointed out by Forbes . Select Sicily is a luxury real estate agency dedicated to providing unique and exclusive self-catering accommodation in sun-kissed Sicily. Here you will find a selection of luxury villas . For more information, please visit www.selectsicilyvillas.com .